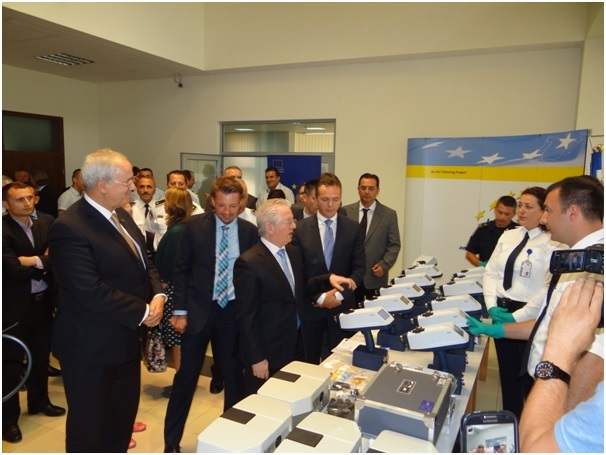 On Thursday, 11th June, high profile delegates from across Pristina came together at Kosovo Police Headquarters to celebrate the conclusion of NI-CO’s highly successful EU Twinning Project ‘Integrated Border Management and Fight against Drug Trafficking’ (IBMDT). The €2 million contract, first commenced in November 2012 under the skilled leadership of NI-CO RTA, Mr Gareth Evans who was supported by a team of UK and Finnish experts over a period of 31 months. Among those to address the conference were: Skender Hyseni, Minister of Internal Affairs; Mr Christof Stock, Head of Cooperation, European Union Office in Kosovo; Colonel Rrahman Sylejmani, Project Leader BC; Mr Mark McDowell, Project Leader MS and Mr Ruairi Mr O’Connell, Her Majesty’s Ambassador UK Embassy. 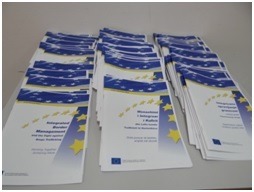 The project team were praised for the role they played in supporting the Kosovar authorities to strengthen the rule of law and in particular the contribution they made to the effective implementation of the Integrated Border Management Strategy, its Action Plan and the fight against drug trafficking. 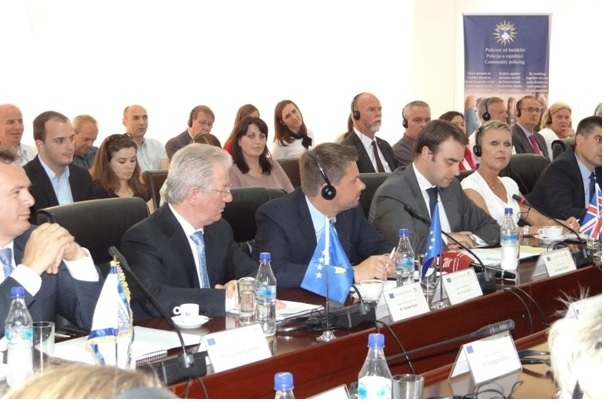 Both the EU and NI-CO highlighted the excellent co-operation between stakeholders and successful work programmes undertaken by the Ministry of Internal Affairs, Kosovo Police, Kosovo Customs and the Kosovo Food and Veterinary Agency – ‘working together achieving more’. 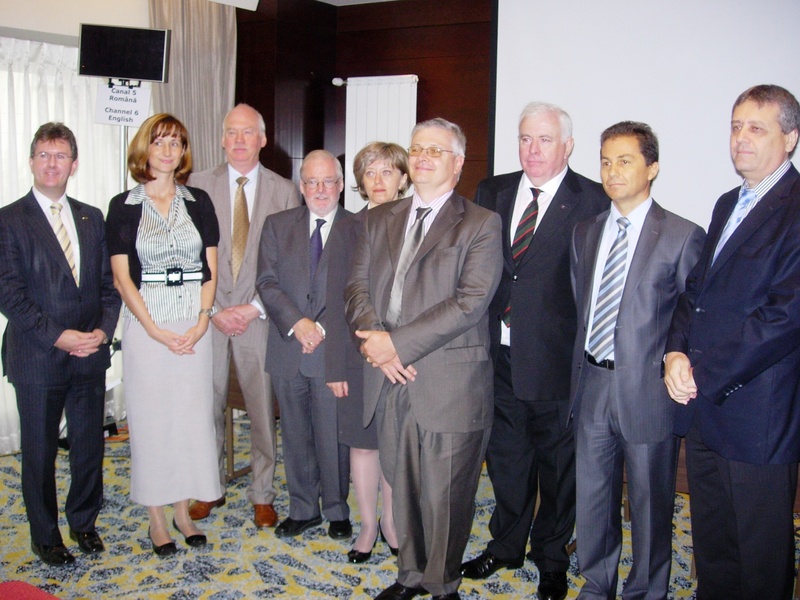 Given the breadth of skills and training demanded by the project, NI-CO were able to call upon its extensive European networks to harness expertise from the Police Service of Northern Ireland, Her Majesty’s Revenue and Customs, the UK National Ports Analysis Centre, UK Border Agency, the National Board of Customs Finland, Polish Border Guard and legal expertise from both Spain and Latvia.This experience was shared with over 500 members of Kosovo Police, Kosovo Customs and Kosovo Food and Veterinary Agency in various training events. 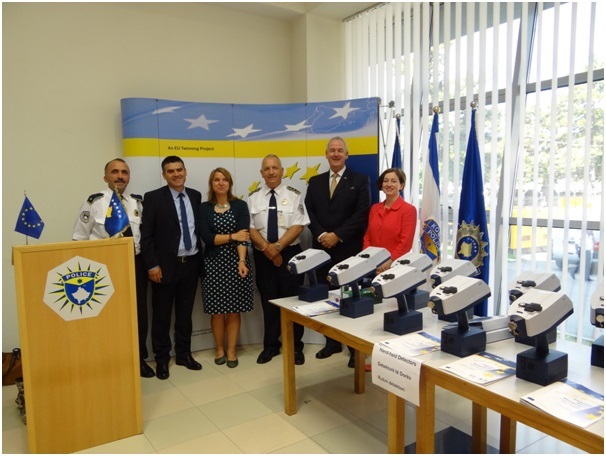 The Conference concluded with a handover of equipment and demonstration of Drug Detection equipment to Kosovo Police and Kosovo Customs; and Manuals of Guidance to Kosovo Border Police.